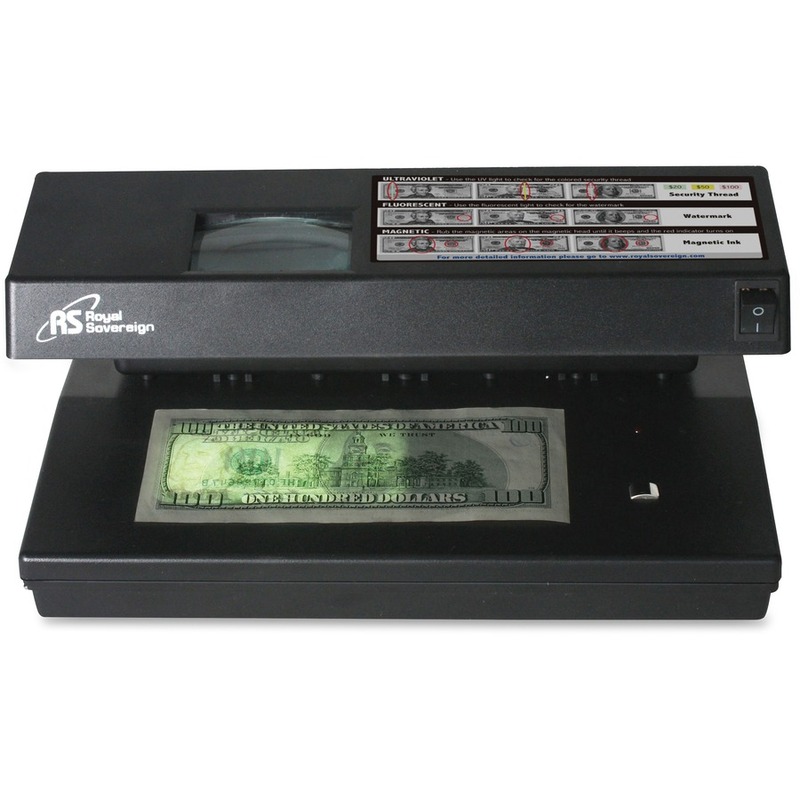 Four-way Counterfeit Detector provides multiple levels of counterfeit detection. 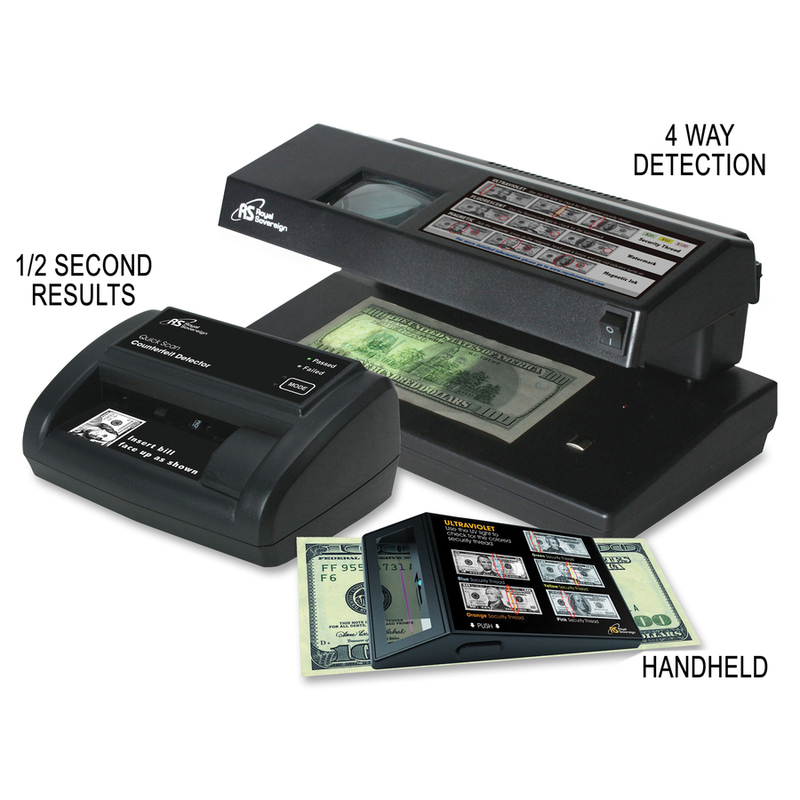 This complete solution for businesses and organizations helps in the constant fight against fake and counterfeit bills and IDs. 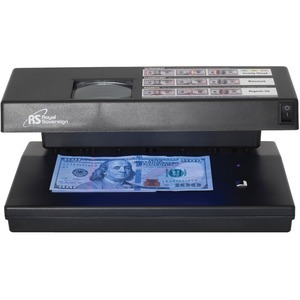 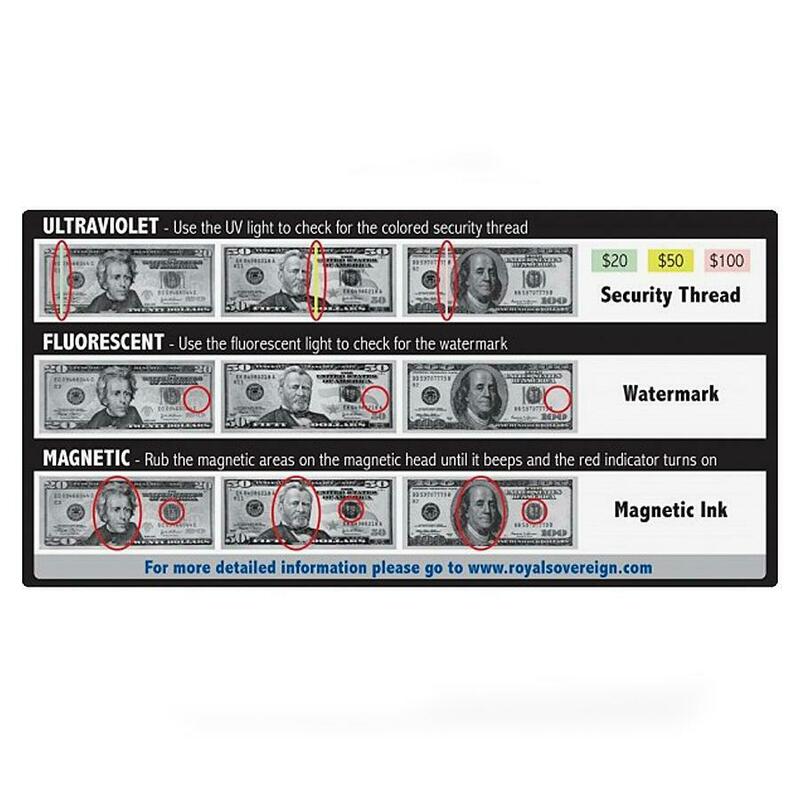 Detector comes equipped with a magnifying lens to aid in the view of microprints, a magnetic sensor that will detect the slight trace of iron in authentic U.S. bills, a fluorescent light for easy viewing of hard to see watermarks, and UV detection that reveals the hidden security thread on bills and hidden holographic images on IDs.